Homeschooling can be done on any budget. Don’t feel pressured to buy whole curricula from various companies if you cannot afford it. You can find individual workbooks and tutorials online, and some may even be offered for free as PDFs or YouTube videos. Conversely, don’t be discouraged if you find that getting a full curriculum is what will work best for your family. In some cases, other homeschooling families are willing to pass on their material for a reduced price or free. You can also find homeschooling materials at your local library. Homeschooling will magnify your family dynamic. That Dorothy Law Nolte poem is right: Children learn what they live. If your family is hyper-critical, perfection-oriented, and/or holds grudges, your homeschooled child will bathe in that stew all day and come out critical, hostile, and resentful… maybe even about you. Far better that, as a family, you work on building character together. Don’t try to recreate school at home with desks, workbooks, and a bathroom pass. (Just kidding about the bathroom pass!) Home education is more like tutoring. In a classroom situation, a teacher has to teach to the middle of the class and often leaves the gifted or the lagging students out of the equation. But homeschooling provides one-on-one instruction. Your child can go at his or her own pace. And he or she may learn better in the window seat in the living room, or sitting under that tree in the backyard sometimes. It’s OK. And chances are, your child will get all of his or her subjects done quicker than seven hours of “seat time” in a regular classroom. Going grocery shopping? 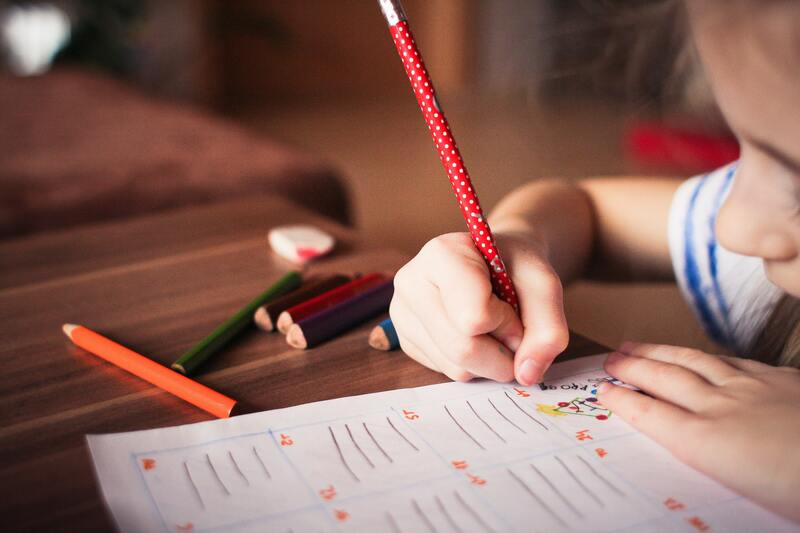 Take your child(ren) with you, give them a pencil and paper or a calculator, and have them add the prices and see which brand offers the better deal: math AND budgeting. They can learn about fractions while helping you cook! Homeschooling gives your children more freedom to be interested in things their peers might not find “cool.” Perhaps all the “in” middle schoolers are doing ballet, but your daughter wants to learn Krav Maga. Maybe the latest Pokémon craze determines who is in or out, but your child would rather play chess. Shannon’s son, in ninth grade, built a forge in their backyard and taught himself to make swords, even engraving them himself. Free from the tyranny of what’s in and what’s out, your child can develop his or her own personality. Your child is interested in learning ASL, but traditional schools in your area offer only French, Spanish, and German? No problem. Homeschooling gives that freedom to learn ASL, or Greek, or Chamicuro. We’re pretty sure Pig Latin still doesn’t count, though. Socialization is NOT a problem. First off, socialization is “the process of learning to behave in a way that is acceptable to society.” Why is a classroom full of same-aged peers the only acceptable way to learn how to get along in a community? Children need more of both adult guidance and peer interaction to grow, but this can be found outside the school environment. With less time spent on school, kids may be able to volunteer, join clubs like 4H, or even play sports. Some school districts even allow homeschooled students to join sports teams, and many homeschool groups create their own teams. You can join a co-op (religious or secular) or join a martial arts class. You don’t have to do it all yourself. There are many excellent co-op groups that offer lessons in math, economics, lab sciences, Spanish, etc…. All taught by homeschool parents OR professionals they hire. You can hire a tutor for subjects you are unsure about. College students often love to come and teach about the math/science/literature they are passionate about. And don’t forget your online options! PLAY! Take a day (or more!) off and have a field trip to the zoo… or bake cookies and bread… or visit those relatives who live in a different part of the country than you and look at gas milage, research places to visit, get samples of the new plants you see and press them in a nature book! Every few years, the Federoffs take a big road trip, often cross-country, with a predetermined goal of what to learn about. We have gone on road trips that followed the Lewis and Clark Trail (from Omaha to Washington State), the American Revolution (Boston and Philadelphia), the American Civil War (Osawatomie to Washington D.C., then down to Atlanta and Vicksburg), and the California Missions (ALL TWENTY-ONE!). We are planning on taking a science field trip to the Gulf of Mexico for a little marine biology next. You don’t have to go that far (a trip to a local state park to look at flora and fauna will do) to have some enriching fun! There is no RIGHT way to homeschool. Do what best fits your own child and schedule. If they LIKE workbooks, use workbooks. If they need more hands-on activities, go in that direction. You don’t need to use basal readers if your child prefers real books. Spend all day doing science experiments and catch up on math TOMORROW if your child is fascinated with science. Single mom? You can still homeschool. Working mom? You can homeschool. Homeschooling does not have to be the traditional 8 a.m. to 3 p.m., Monday through Friday of the public/private school. For example, Margie works three 12-hour shifts a week: “I homeschool more hours on my days off, and the days I work, my daughter spends time reading and doing online work, like ABCmouse.” Dad wants to be involved? He can homeschool. Older kids can often enroll in community college classes, for credit. Make learning family-centered. Learn along WITH your child. Share educational and social activities as a family. Homeschooling encourages living, learning, and playing together in a harmonious and organic way, instead of everyone being segregated by age in school all day and parents trying to nurture family relationships during their brief time together in the evenings and weekends. If you have more than one child, use these brief years to help them build solid sibling relationships. Don’t fall for the idea that you are a failure and the child(ren) would be better off at a traditional school. Shannon has been a classroom teacher. School teachers have bad days, too. Tomorrow is another day. Regroup. Take a breath. Family life in community can be messy. The best lessons you can give your child are about perseverance, unfailing love, forgiveness, and how to live in a family. THOSE are the lessons they will carry forward into their own families… more than geometry proofs, avoiding dangling participles, and the capitals of all the United States.